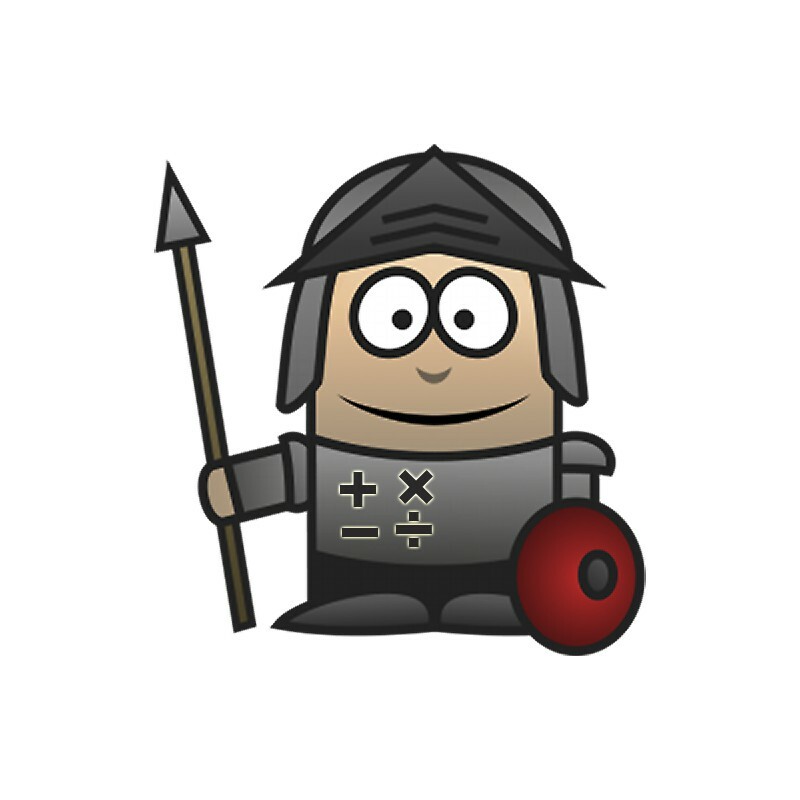 Math Knight is the great game for your kids to learn and practice basic or higher aritmetic calculation! 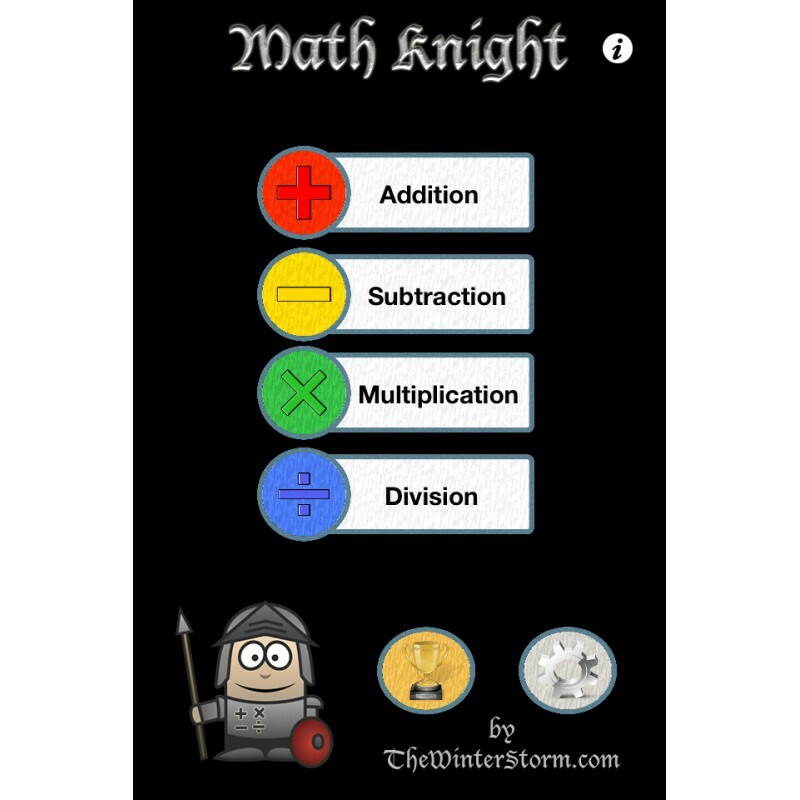 Now, you don't have to create the exercises for them by yourself. 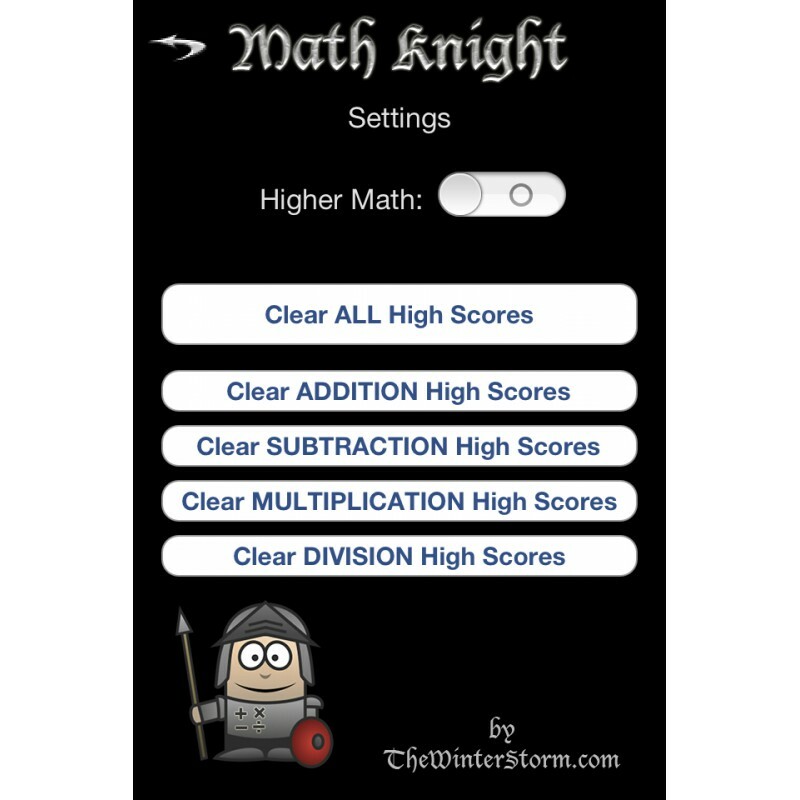 Just give them your iPhone with "Math Knight" installed and everything will be arranged for you. 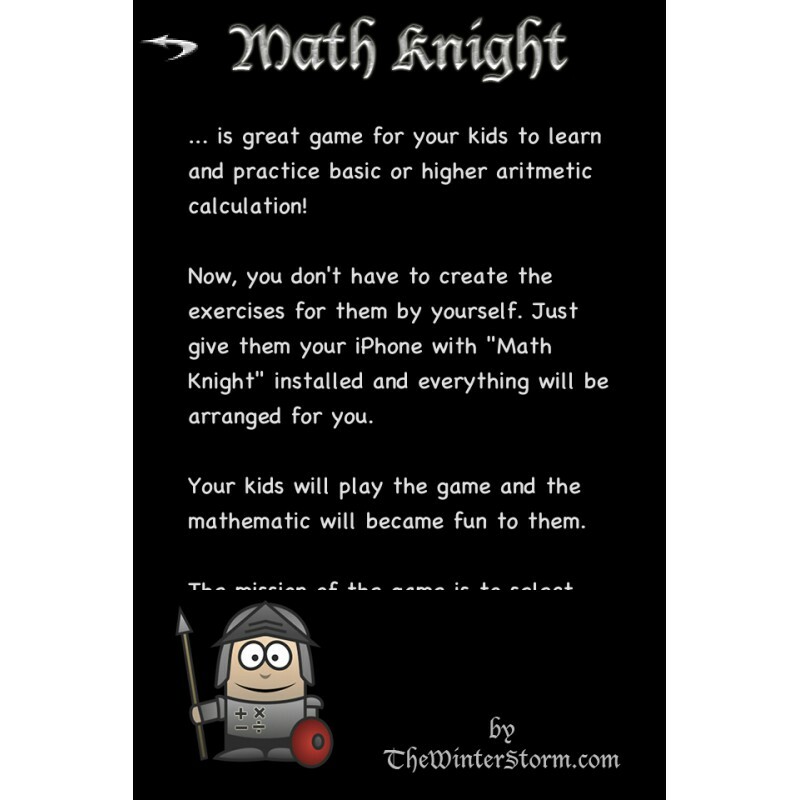 Your kids will play the game and the mathematic will became fun to them. 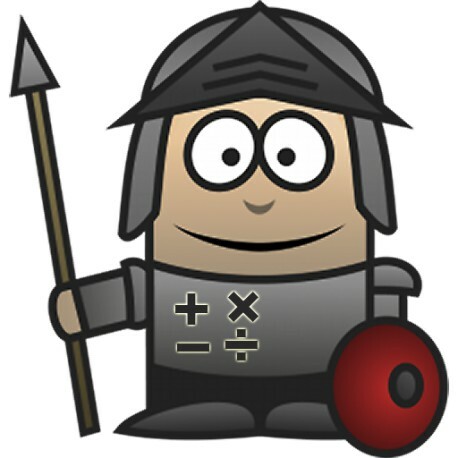 The mission of the game is to select (find) correct cubes - mathematical expression and result. 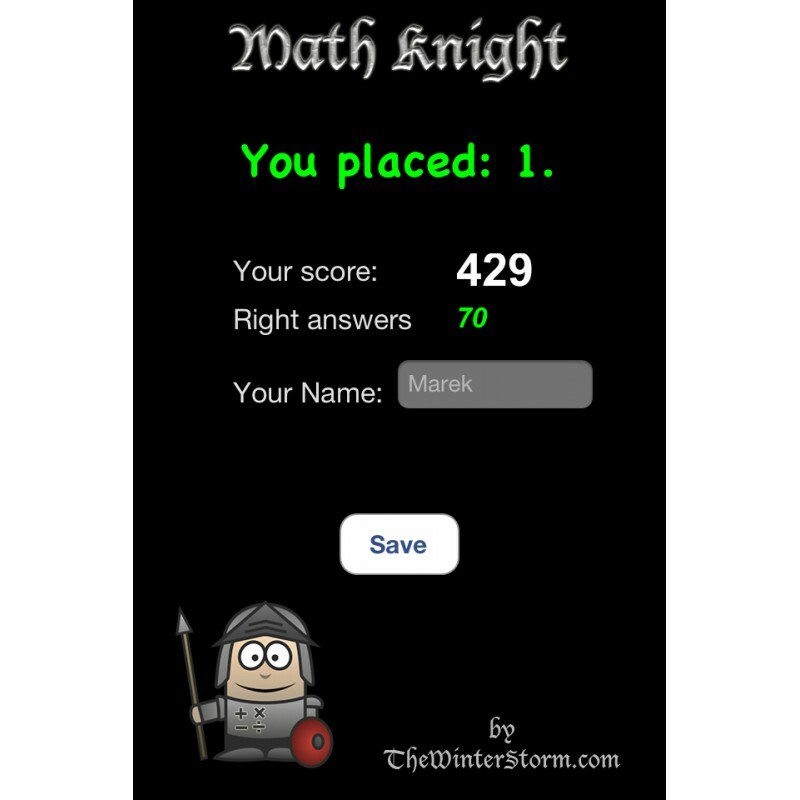 You will get 60 seconds on the beginning (round 1) and than 4 seconds less on every next round. 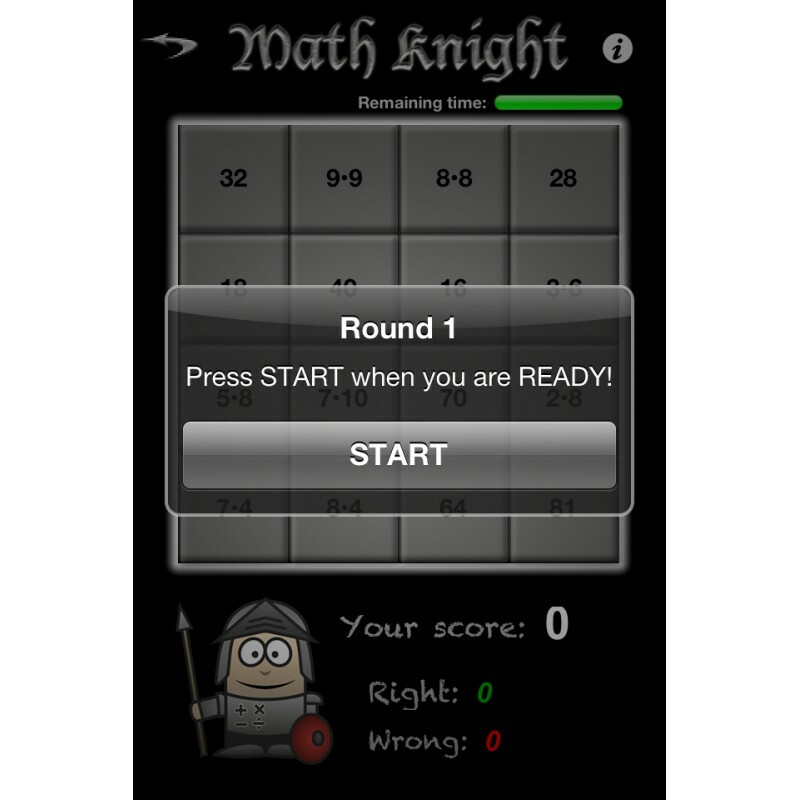 The game ends after 3 wrong answers or when time expired or after 10th round. 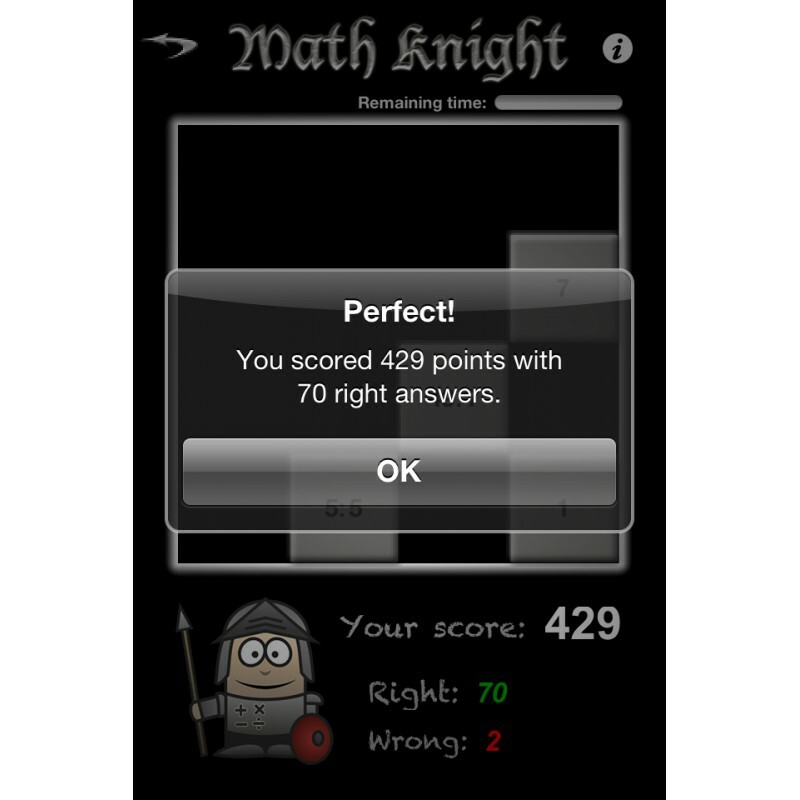 For each right answer you will get 3 points except situation when your previous answer was wrong.In this case you will get just 1 point. 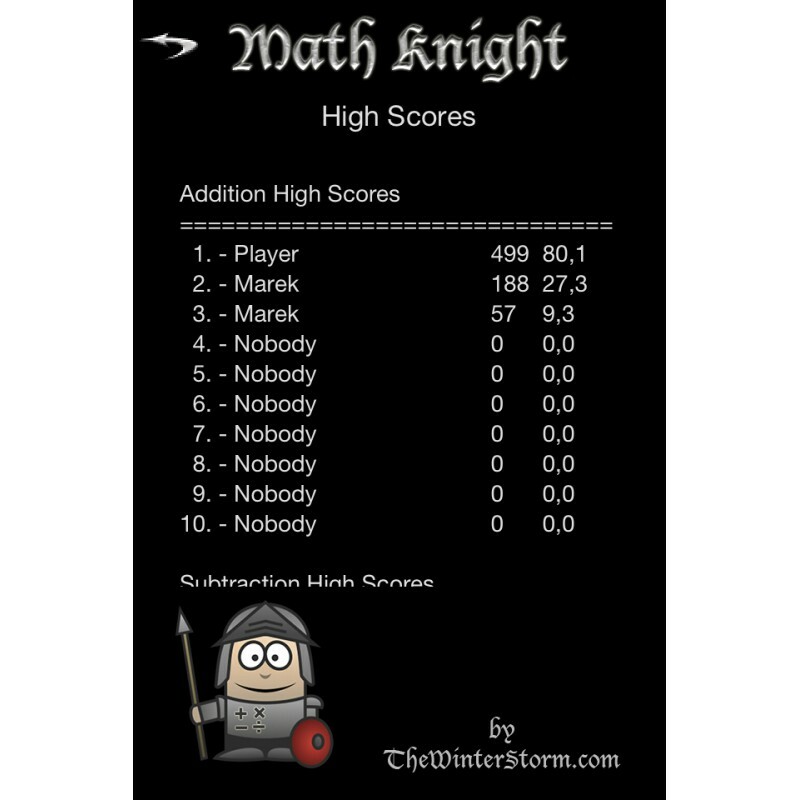 For each wrong answer you loose 1 point and 10 seconds.